and here is my copycat....what do you think? Granted it wasn't that hard of an outfit to copy but it does go to show you that you too can dress like a celebrity. This look is simple - flared jeans, long white tank or white tee, some long necklaces, a black blazer, some shades & there you go - Rachel Zoe Inspired! Thank you Carly & Mary for having me co-host. Now go find your inspiration & linkup with us! The Secret Santa Gift Swap Reveal Date has been MOVED to December 20th! It will NOT take place tomorrow! Please mark your calendars for Dec 20th! WOW...it looks like you are her! this makes me giggle--you two do look alike. Perfect choice! 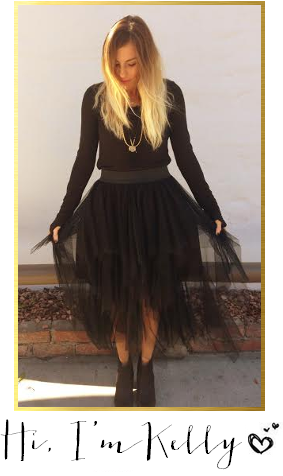 OMG - you got the copycat thing on Rachel Zoe down perfectly! Wow you do look alike! Love her! Great job, you look like her twin! Looks good!! 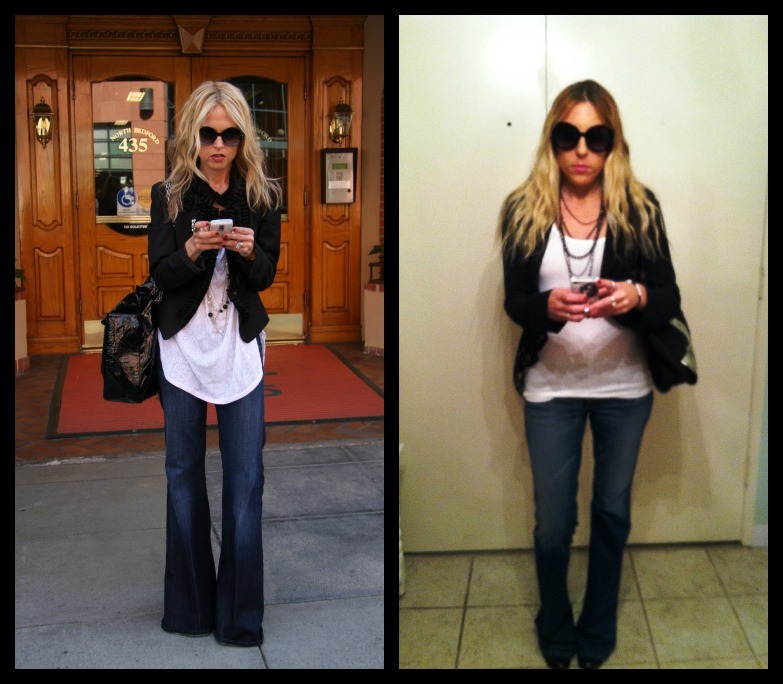 I love Rachel Zoe's flared jeans! Too cute!!! I love this outfit! ANd great job copying! TBH... I like your version better. She looks like she's wearing clothes that are way too big for her. I like how yours are relaxed but fitted. that is actually amazing how well you copied that outfit! Thanks so much for co-hosting with us, friend! I love Rachel Zoe and you definitely remind me of her and I can totally see the Lady Gaga resemblance too!